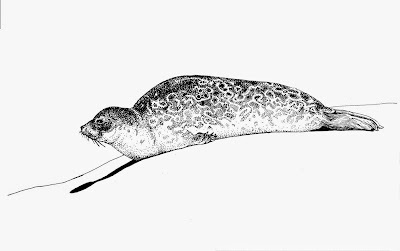 DESCRIPTION: Ringed seal (Phoca hispida hispida). One from the series of 13 drawings of White sea's inhabitants. Created for popular science film about White sea fauna "Talking with beluga whales" supported by Russian Geographical Society. Finally these illustrations were not used in the picture.